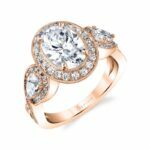 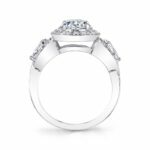 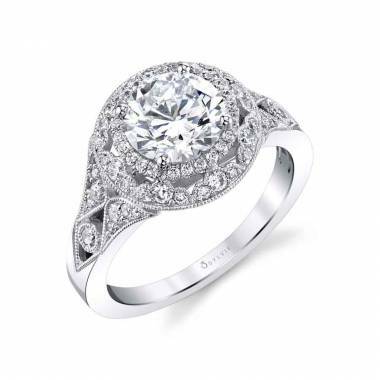 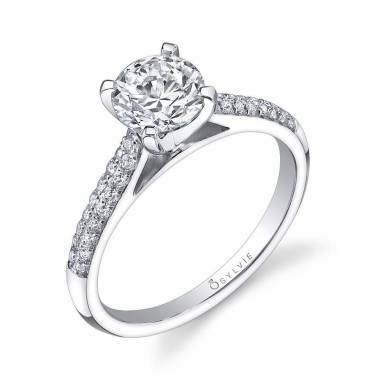 Featuring a 2 carat oval shaped center stone, this beautiful three stone oval engagement ring is sure to wow anyone who lays their eyes on it. 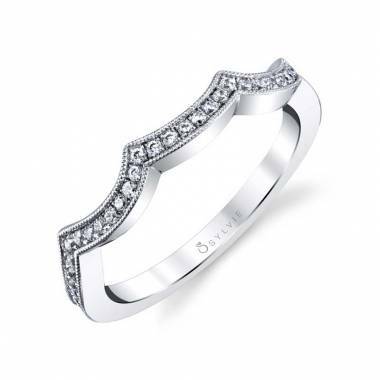 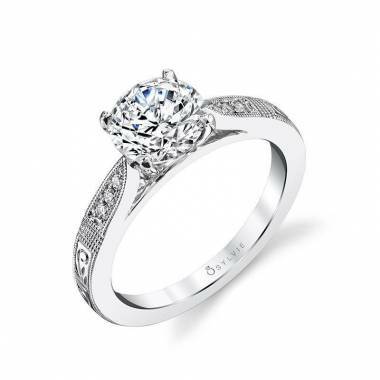 Pear shaped side stones and intricate milgrain detailing down the sides create a stunning look. 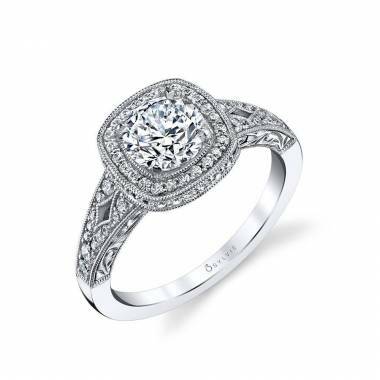 This engagement ring has a total carat weight of 0.85.